Do all tickets include classes? No. A general admission ticket includes all the shopping and associated make-and-takes, but you'll need a class ticket (wristband) to attend classes. How do I register for classes and/or update my class schedule? You can find instructions on how to register for classes on the confirmation email you were sent when you purchased your ticket, or here on our website. What if I don't get into a class I really want to take? We save seats in every classroom for "standby line" attendees who were not able to pre-register for the class. You can wait in the standby line outside the classroom before the class begins to claim one of these available seats. Standby seats are first-come, first-serve. Do I have to register for my classes before the event? It is best to pre-register for classes before the event. Each classroom can only hold a certain number of seats, and pre-registering for the class saves your seat until 5 minutes before class begins. Within 5 minutes seats are given to attendees in the standby line. Do I have to pay the "class kit" fee listed with some classes on the website? Your Pinners ticket will get you into the classes, but if you'd like materials to make projects during the DIY classes, you will need to purchase a class kit from the presenter. Please keep in mind that many classes do not have class kits and other presenters are providing kits and materials free of charge. How do I purchase class kits? Where do I pick up my kits? You can purchase class kits from the presenter during their class at the event. Many class kits can also be pre-purchased online as you register for classes through GrowTix by clicking on the blue button labeled "pre-purchase class kit." You will pick up (and/or purchase) class kits from the presenters at the beginning of their classes at the event. As noted on our ticket page, all tickets and class kits are non-refundable. In the event that you are no longer able to attend Pinners, you may gift your ticket to someone else to use. However, Pinners Conference will not be able to transfer any tickets. The ticket, GrowTix login and all associated classes and kits will be in the name of the original ticket purchaser. Are there any discounts or promo codes? Yes. We send general admission discount codes to our email subscribers. You can "be cool" and join the Pinners email club by putting your information in our pop-up menu. Our exhibitors and presenter also have promo codes they share on their websites and social media accounts. Which day can I use my ticket? All single day admission tickets are good for either day of the show—you can choose which day to attend. VIP tickets and 2-day passes are good both days of the event. Where should I park? Do I have to pay for parking?  There is good parking all around the Ontario Convention Center. Please click here for a parking map. There is a charge by the OCC for parking (usually around $10). Do I have to wait in line when I get to Pinners if I pre-purchased my ticket? Pre-purchasing your ticket has many advantages, but you will still need to wait in line to get your wristband. Starting this year, you can avoid the lines altogether by picking up your wristband the Thursday before the event at the facility. If you're planning on attending the first class of the day, it's best to pick up your wristband early. Is there a host hotels or Pinners discounts on hotel rooms? Yes, you can get a Pinners discount on a hotel room. All the information can be found here on our website. How do I request an ASL interpreter? If you need an ASL interpreter please fill out this form at least two weeks before the show. Please let us know if you have a friend that can interpret for you. We would love to give them a free ticket to the event.